“Hey, Mama Oak, watch this!” giggled Laura Lilac. Suddenly, she popped open another dozen of her fragrant purple blossoms. Laura was so excited to finally be blooming. She was almost four years old and had wished for this day as long for as she could remember. Jane Magnolia, Laura’s very best friend in the nursery, was more than a little jealous. She so wished she could bloom too. She and Laura were born the same year, and had been like sisters ever since. They shared everything, telling each other their deepest secrets and giggling together over the antics of the visiting birds and dragonflies. 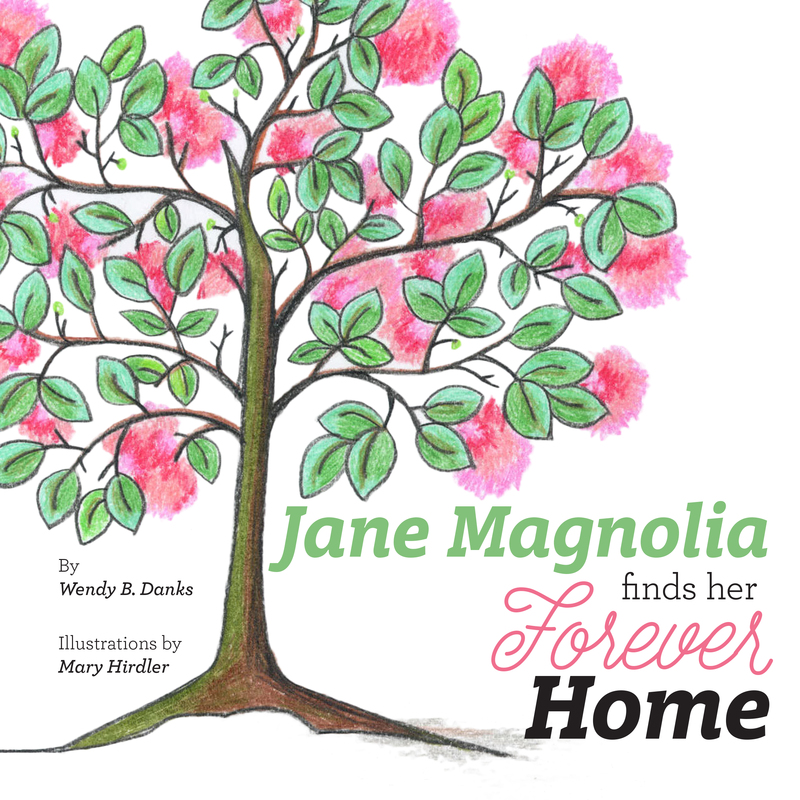 Jane remembered meeting Laura, Mama Oak and all the other baby trees like it was yesterday. Her very first memory was feeling the sun beaming down on her tiny leaves. She only had a couple of branches, and was amazed at how good it felt to spread her leaves up to face the warm yellow ball up in the sky. 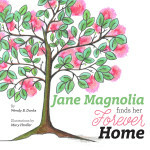 Jane looked up to see the most beautiful tree standing tall at the edge of the nursery. Mama Oak was an ancient Red Oak who had been overseeing the nursery for many years. She was kind and loved all the baby trees as if they were her own. “Where am I?” exclaimed Jane. “What am I? Who are you? How did I…? “Yeah, sleepyhead, Mama wouldn’t tell us anything until we all woke up,” yelled Eric, a tall willowy sapling planted a few rows away. Eric always yelled whatever he had to say. His leaves stuck up every which way, and he liked to wave them around for no reason at all. Laura Lilac was planted right next to Jane, and was getting impatient to hear Mama Oak’s tale. But she was also glad that the little Magnolia tree was finally awake. “Hi, I’m Laura,” she whispered, waving her dozen or so leaves merrily in Jane’s direction. “Hi, I’m Jane,” said Jane, feeling a bit overwhelmed as many of the baby trees around her began to talk and rustle their leaves. That was when Mama Oak began to speak. Her beautiful voice drifted over all the baby trees as she told them the story of the nursery. “Once upon a time, when I was just a tiny sapling like you,” Mama began. “I awoke to see a vast meadow all around me. Grasses and wildflowers grew everywhere but there were no other trees for me to talk to. I was very lonely because the grasses only hum, and flowers giggle and giggle but never say anything of importance. Even though the birds and dragonflies would stop and say hello, they never stayed very long.